It’s not often that a vegetable impersonates a fruit, but with its striking crimson stalks and voluptuous green leaves, the rhubarb plant has done just that. For many centuries, rhubarb was prized for its medicinal properties, although it also found its way into soups and stews. Then, in the 1800s, when sugar became more affordable to home cooks, rhubarb made the fantastic leap from vegetable to fruit. The now-iconic rhubarb pie was soon born. Since then rhubarb has gained much popularity; it is often paired with apples, strawberries, orange, cinnamon and even ginger in a multitude of desserts. But to me there’s nothing more seductive than the pure essence of rhubarb — all of which is captured in this simple but intensely flavorful compote. You might notice that I do not peel the stalks. It seems a pity (not to mention, unnecessary) to take away the most colorful part of these attractive stalks. Rather, I choose tender young stalks that are less fibrous. 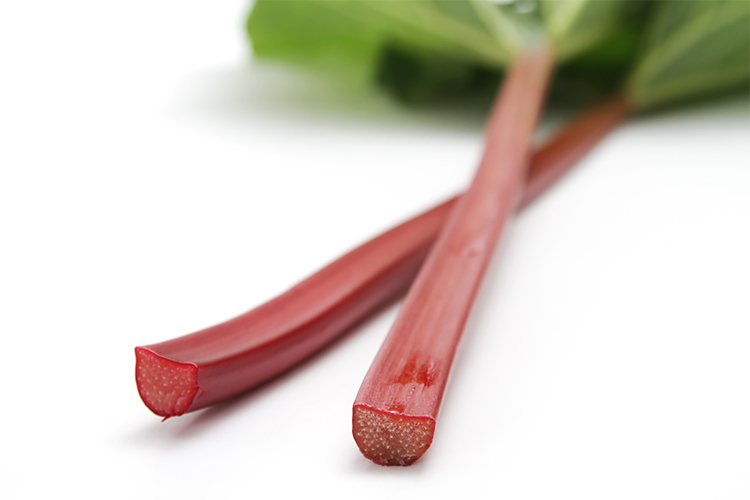 Place the water, rhubarb and sugar in a medium saucepan and heat over medium-high heat. Stir until sugar dissolves. Reduce heat to medium and simmer for 5 to 6 minutes until the rhubarb releases its juice and the slices break apart. Stir from time to time to ensure even cooking. Remove from heat and transfer to a bowl to cool to room temperature. Cook’s note: Refrigerate up to 1 week. 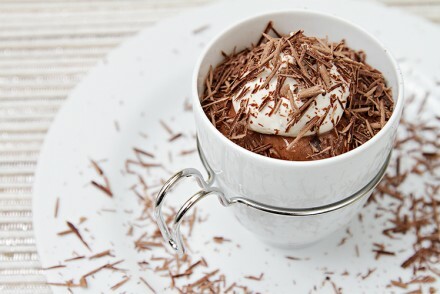 I just wanted to let you know that I LOVE this wonderfully simple recipe! I am JoAnn’s cousin from Iowa and our Uncle who recently passed away had the biggest rhubarb patch I have ever seen. 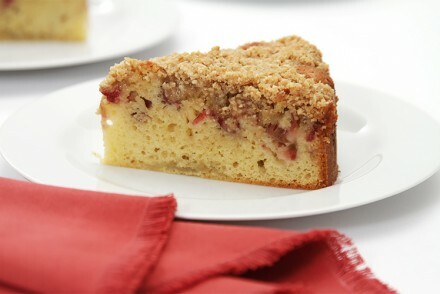 I remembered seeing this recipe on your website so I picked some of his rhubarb recently and tried it…instant favorite! This weekend we are celebrating our oldest son’s H.S. Graduation with a large gathering. For dessert we will be serving his favorite-Ice Cream. 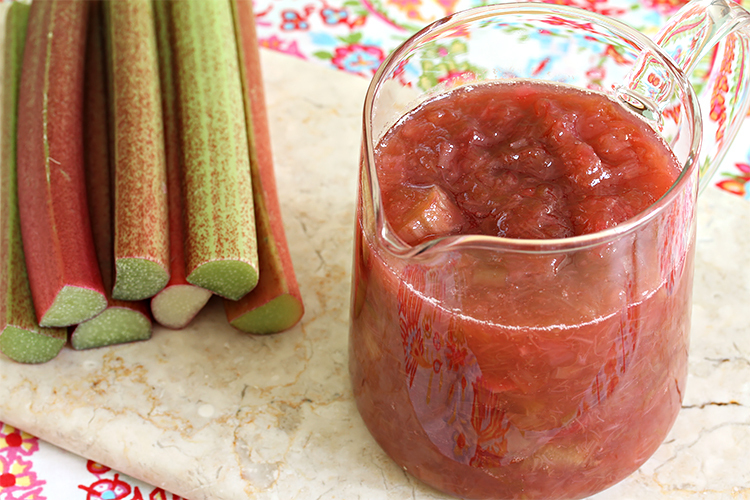 For an extra treat I am making your special Rhubarb Compote (and maybe adding a few strawberries) to serve as a sauce with the ice cream. I love your website and would love to meet you sometime when I am visiting Nick and JoAnn. She has said such wonderful things about you and your cooking lessons! Dear Mindy, I apologize for this late reply to your wonderful comment… Sometimes it’s a bit hard to be a one-woman-show! I am so delighted you like the Rhubarb Compote recipe and I hope it was a major yum with your son’s favorite ice cream! And of course, I’d love to meet you next time you visit JoAnn… I’ll make sure to talk to her about it. Many blessings to you as well my dear… and happy cooking! Mmm, Greek yogurt with this rhubarb compote sounds very seductive to me. It’s interesting that you don’t peel the stalks – thank you for the tip! Hi V…this brought back such warm and fuzzy feelings for me. My mom loved rhubarb, and I grew up with so many delicious rhubarb desserts. I am so excited to try this one. Thanks for the memories! 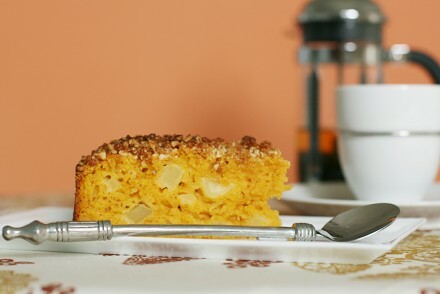 JoAnna… I’m so happy that this recipe brought back some good childhood memories… And I bet you and Nick will love this one! Lovely, simple compote! We adore rhubarb in our house and find as many ways as possible to use it – on pork, over ice cream, in cheesecake…the list goes on. Everyone, thank you so much for your comments – it’s so great to read how much you all love rhubarb. I so wish my yard was big enough so I could grow it myself! 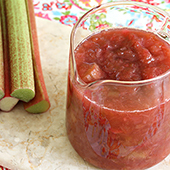 Rhubarb is in my top 5 fruitables, so I love the idea of your compote. Now if I could just get it to grow in our hot, miserable climate. i did this compote ,it’s so good!beautiful post,beautiful shots! It is such a pleasure to see this post! I can hear my mom asking me to go out and pick some rhubarb as if it were yesterday. I have never seen rhubarb in Greece and I try (in vain, of course) to explain the complex, unique flavor to friends here. I can’t wait to eat my mom’s rhubarb crisp this summer in Montana, and we’ll open new horizons by trying this compote. Thank you! Wonderful recipe. I just bought my first rhubarb this week. Can’t wait to try it! Looks great. I’m loving everyone’s take on rhubarb!